These freestanding awards feature a clear glass body and a distinctive blue glass base. 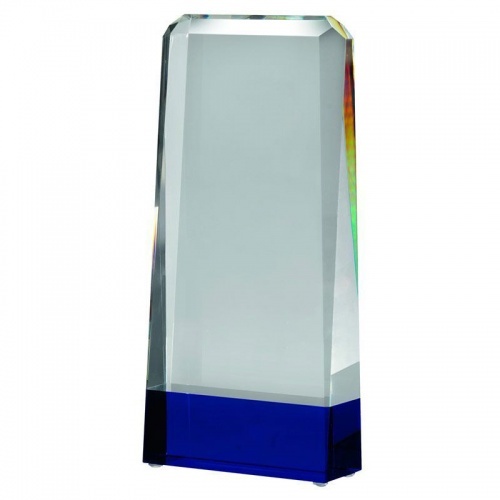 The award is in a wedge shape design with attractive bevelled edges. 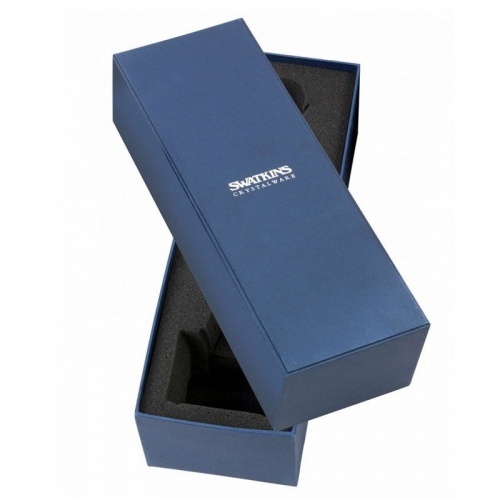 Standing 9in tall, it can be engraved on the flat front of the award and is supplied with a foam lined presentation case.